In recent years optical fibers have served as sensors to detect changes in temperature, like a thermometer, and pressure, like an artificial nerve. This technique is particularly useful in structures such as bridges and gas pipelines. EPFL researchers have now come up with a new method that enables optical fibers to identify whether they are in contact with a liquid or a solid. This is achieved by simply generating a sound wave with the help from a light beam within the fiber. The study was conducted by the Group for Fibre Optics (GFO) run by Luc Thévenaz within the School of Engineering and has been published in Nature Communications. 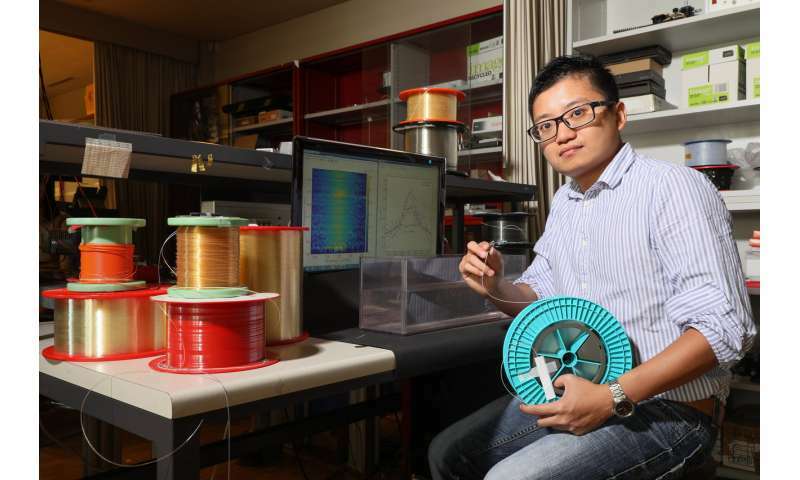 The method developed at EPFL uses a sound wave generated inside the fiber. It is a hyper-frequency wave that regularly bounces off the fiber's walls. This echo varies at different locations depending on the material the wave comes into contact with. The echoes leave an imprint on the light that can be read when the beam exits the fiber, making it possible to map out the fiber's surroundings. This imprint is so faint that it hardly disturbs the light propagating within the fiber. 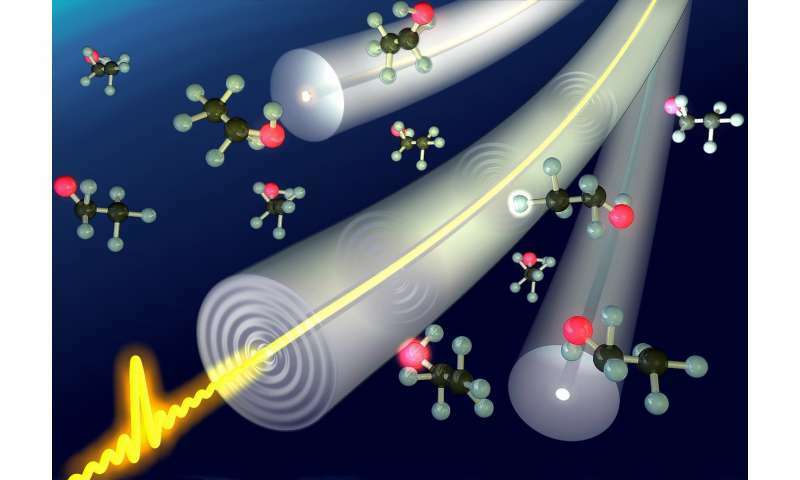 The method could be used to sense what is going on around a fiber and send light-based information at the same time. The researchers have already immersed their fibers in water and then in alcohol, before leaving them out in the open air. Each time, their system was capable of correctly identifying the change in the surroundings. "Our technique will make it possible to detect water leakages, as well as the density and salinity of fluids that come into contact with the fiber. There are many potential applications," says Thévenaz. These changes in the surroundings are located thanks to a simple time-based method. "Each wave impulse is generated with a slight time lag. And this delay is reflected upon the beam's arrival. If there were any disturbances along the way, we can both see what they were and determine their location," explains Thévenaz. "For the moment, we can locate disturbances to within around ten meters, but we have the technical means to increase our accuracy to one meter." The idea of using a sound wave in optical fibers initially came from the team's partner researchers at Bar-Ilan University in Israel. Joint research projects should follow.